Tech library researchers recently published a paper about the Clough Commons that analyzes the influence that the building has had on students’ academic productivity. 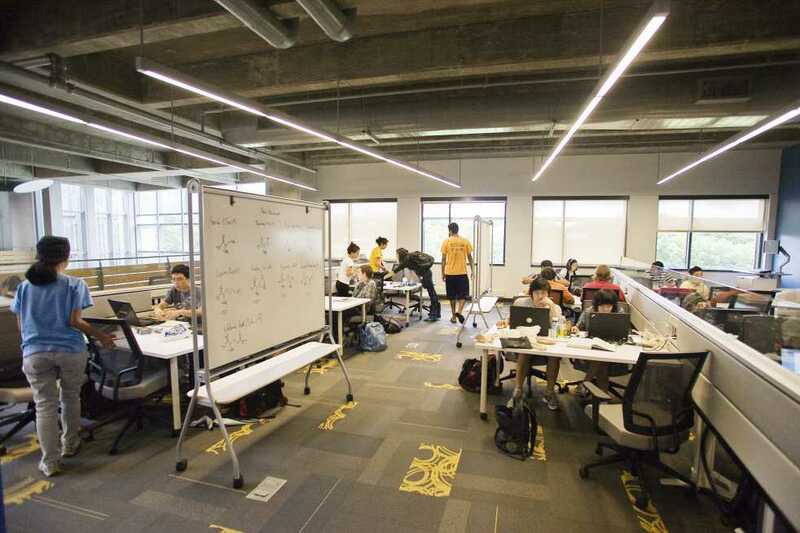 Published in the Planning for Higher Education Journal by Ameet Doshi, Shilpi Kumar and Susan Whitmer, the research paper reveals that the building’s evident use of space does have a dynamic associated with the users’ academic learning. It has been 14 years since the idea of Clough Commons was first conceived by administrators and planners. In order to assess student activity in Clough Commons, the researchers have been executing first-hand interviews and discussions. The paper identifies 11 different modes of behaviors seen in the building and goes in depth on how different technological tools and resources available in the building determine the way individuals plan out their daily schedules. In addition, Herman Miller Insight and Exploration teams, who collaborated on the study, incorporated an ethnographic research method that surveyed real-time student responses through a mobile app. The sample of students were asked to document their subjective experience, and to use a Scout app to take pictures of furniture they utilized. Also described by the research is the ebb-like flow of students coming in and out of the library and Clough Commons. The library manages the study spaces in Clough Commons. The efficiency with which the layout of common spaces and reserved rooms deliver academic experience is library’s primary concern. Clough Common’s architectural design has been the subject for touring, observation and study by communities within and outside of Tech.